I have firstly encountered Iceberg Model somewhere on the Internet during 2017, in one of Leyla Acaroglu’s articles/blogs. It immediately made sense to me and I copied it to my notepad. In short, it’s a tool used to gain a deeper understanding of things. It illustrates that things we see or read about in newspapers (events) are only a tip of iceberg. There’s much more of iceberg under the water, just as there are things that influence things we see or read about, but are not easily visible. A few days ago I tried to find Leyla’s post, but failed. 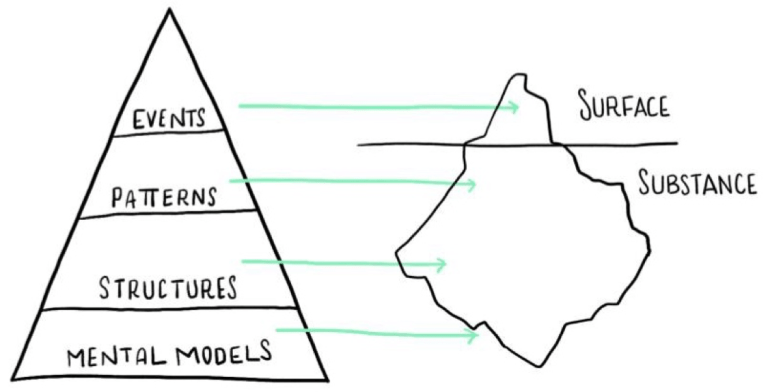 Instead, I found Systems Thinking With The Iceberg: A Tool for Multi-stakeholder System Sight which explains it nicely. 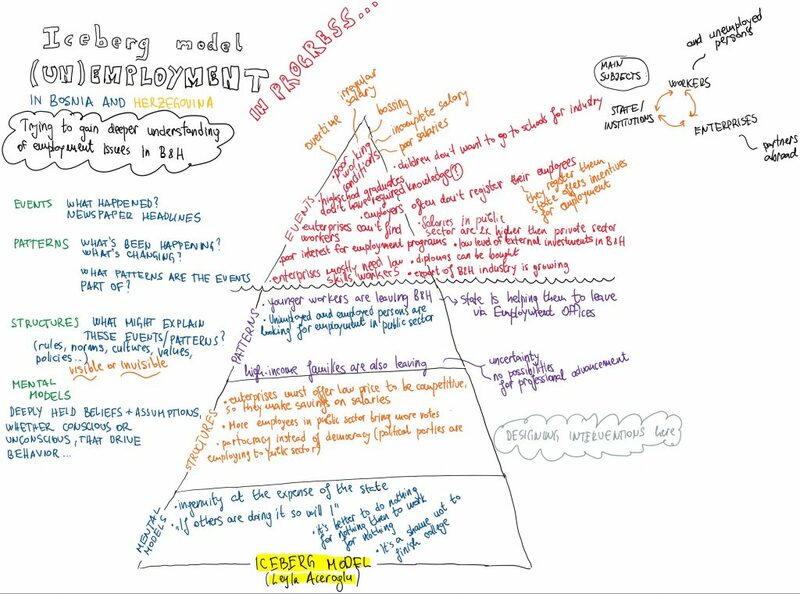 In order to help myself understand (un)employment in Bosnia and Herzegovina better, I decided to give the iceberg model a try. Here are the first results. P.S. If you have any comment or additional insight, please don’t hesitate to write it in the comments section below.